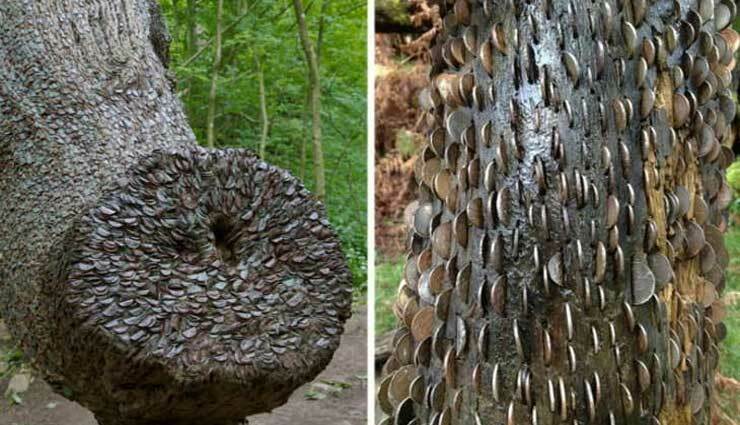 Imagine wandering through the forest when all of a sudden you stumble upon a massive tree completely covered in coins dating back centuries. No, you haven't discovered a magical giving tree. You've found one of the UK's mystical "money trees", and each of those coins represents one person's wish for health and luck. Apparently the practice of hammering coins into trees started back in the 1700s. The locals believed that offering low-denomination coins to the tree would take away their sickness. But if someone else came by and removed the coin, the person who nailed it into the tree would then become ill. While the practice may not have been a cure-all, it certainly brings a unique sight to the forest, as you can see in this image courtesy of Flickr user Ministry. Have you ever seen a wishing tree? Did your wish come true?